(太 極 拳 使 用 法) by Tong Huling (son of Tong Yingjie). 74 pages. Numerous photographs. Cover is unattached and worn, but is made of red silk. 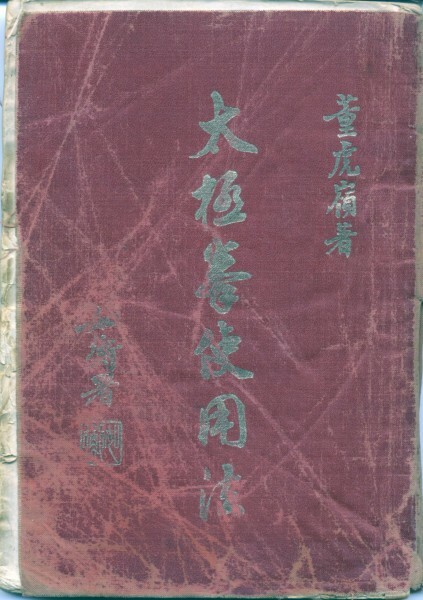 An original 1957 Chinese edition. Book is in poor shape. Tung Yingjie was a student of Yang Luchan and Yang Chengfu. 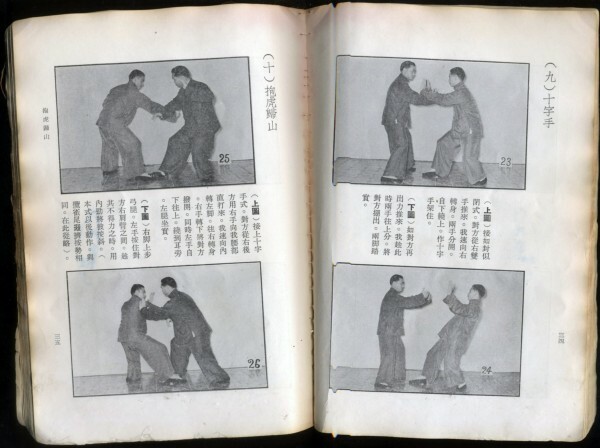 The Tong family eventually created their own family style of Taijiquan, and this book, compiled by his son, was the first record of their family style. Master Liang and Tong were friends and colleagues. Starting bids of $250. If you are interested in acquiring this book, please contact us.